Samuel Adams led a group of Patriots, known as the Sons of Liberty, dressed as Mohawk Indians, on a cargo ship in Boston Harbor. The ship contained a great amount of tea. 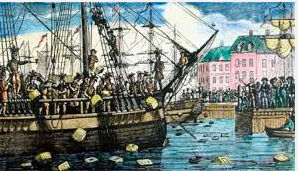 The Sons of Liberty took all the tea and threw it into Boston Harbor. 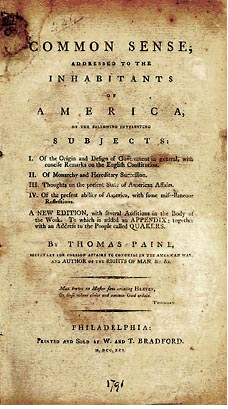 This novel, written by Thomas Paine, inspired many of the colonists in the Thirteen Colonies to declare independence. 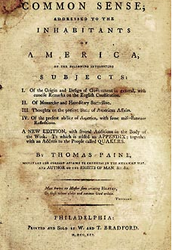 It was published anonymously at the beginning of the American Revolution. This was a series of acts passed to punish the colonist for the Boston Tea Party. 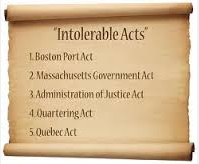 The Boston Port Act, one of the acts passed, shut down Boston Harbor. No ships could leave or enter Boston. 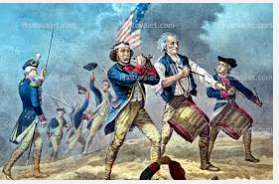 American Colonists who supported the revolution were called Patriots. General George Washington was one of the very influential Patriot during the American Revolution. Loyalists were also known as Tories. 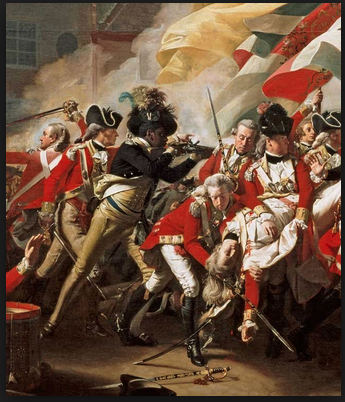 They were the American colonists who wanted to remain loyal to King George III.